Use a tablet PC as the core component and a Wireless display dongle to mirror the tablet PCs screen. This way the tablet PC is both: The computer and the remote control. 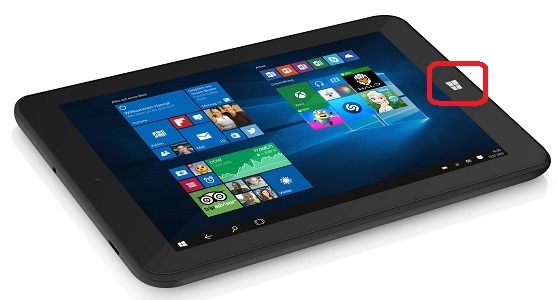 TrekStor SurfTab wintron 7.0 as the tablet PC. 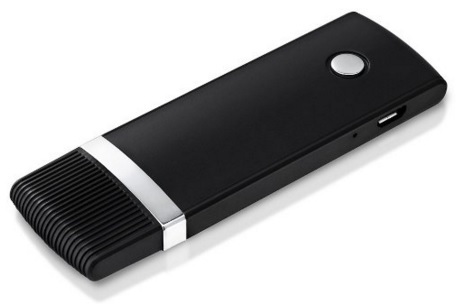 VicTsing 2,4 G HDMI Miracast Dongle as the Wireless display dongle. The last thing we need to do is to run the script every time the user logs on. 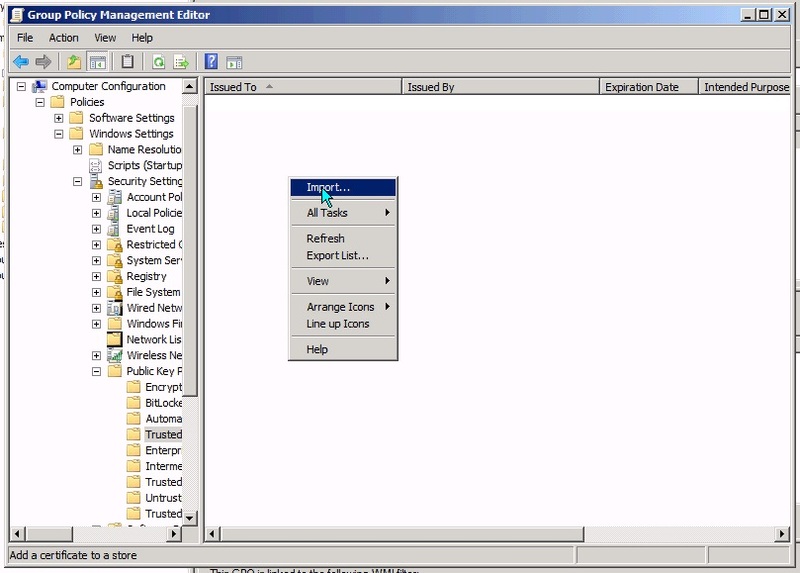 I did it by configuring a new Task in the Task Scheduler. Choose a name for your Task. Now simply choose the Action “Start a program” and set the path to your script. Next have a look at the Conditions. 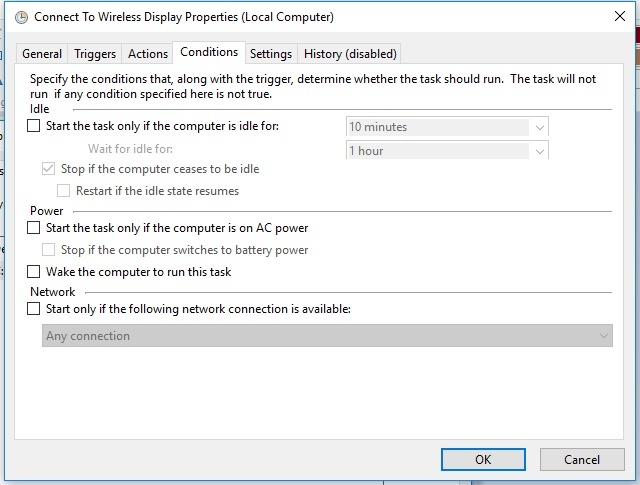 You will want to uncheck “Start the task only if the computer is on AC power.“. Most of the time your tablet PC will not be connected to your power supply when you use it. 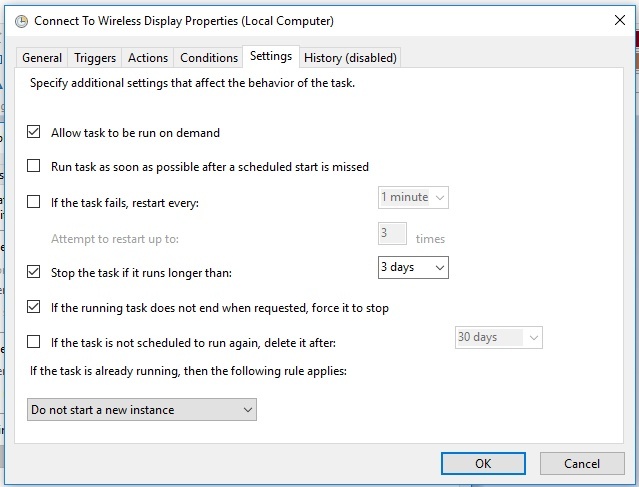 The Settings tab will allow you to define the behavior of your Task. Click on OK and you are ready to go. 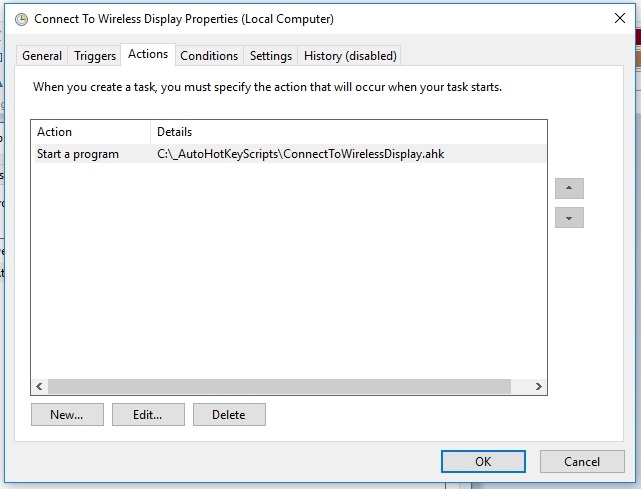 Tip: If you do not want to install AutoHotkey on your tablet PC you can convert your scripts to executable files by following this guide here. 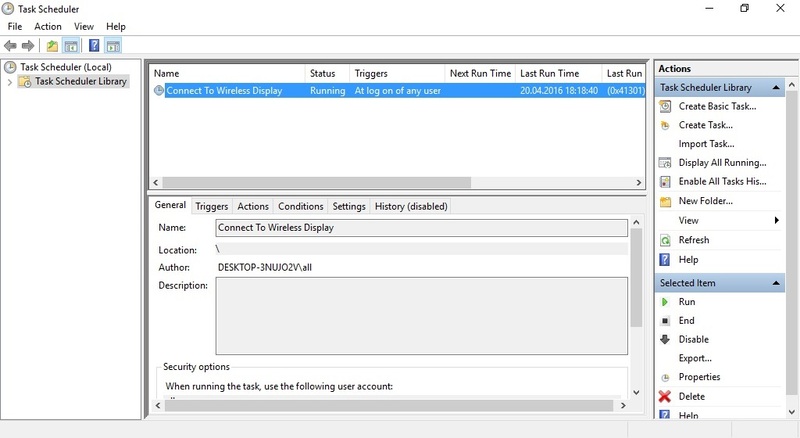 Today I´m going to show you how you can simply create a new local user account in Windows 10 if you need one. 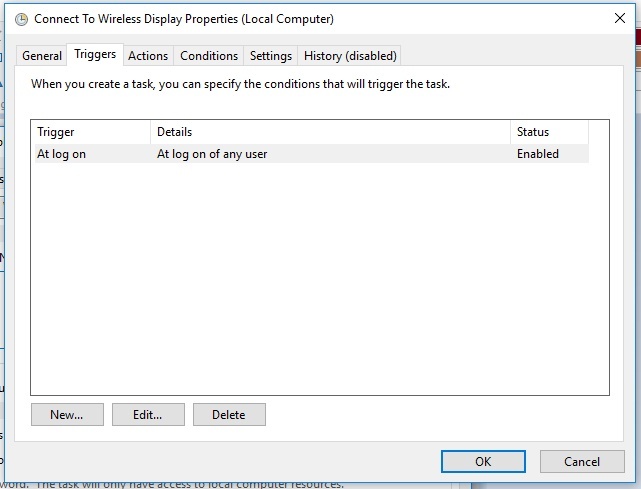 You may ask yourself why I am writing a post about something as simple as that but let me tell you: Microsoft changed the way to create local users in Windows 10 and therefore this task is not as simple as it was in Windows 7 anymore. 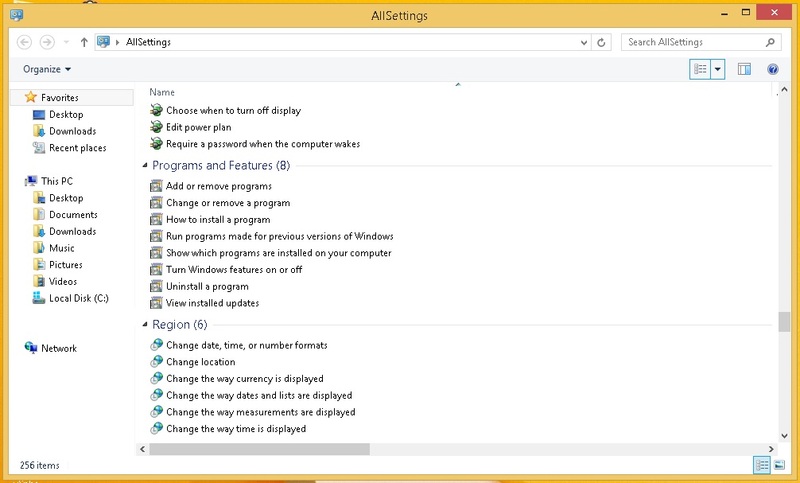 Posts like this one from How-To Geek explain pretty good how creating users works now in Windows 10. In my opinion this is too much hassle for a simple requirement like this. 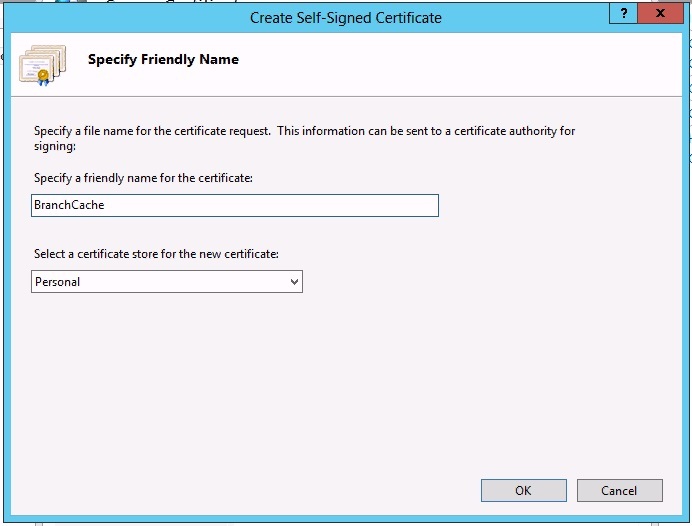 Please Microsoft implement something like a simple “Add Button” for local user accounts. 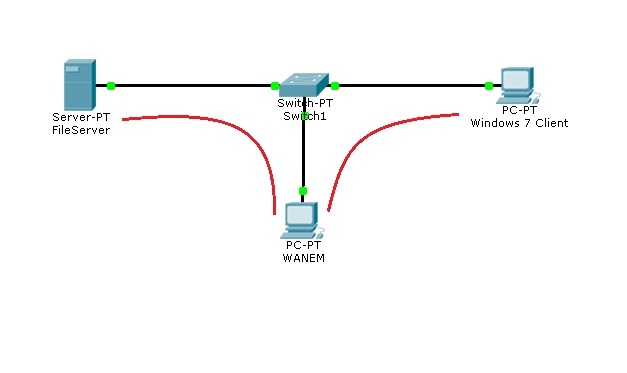 Hello everyone, today I want to show you how you can transfer your WLAN Profile data to another computer. 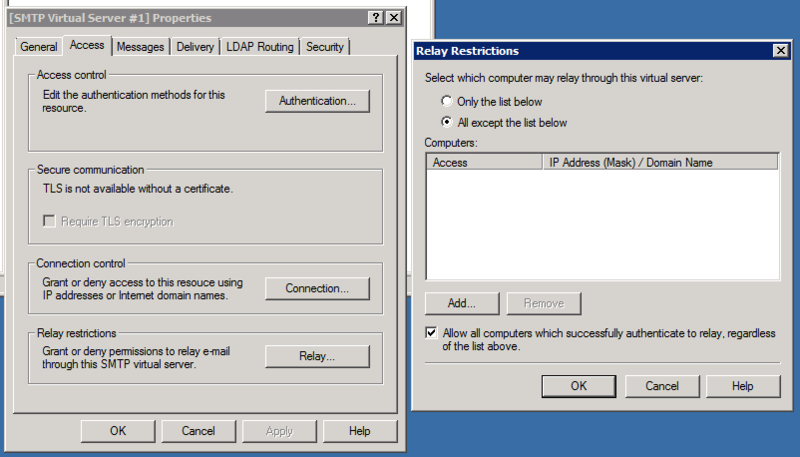 Here is the story behind this post: A few days ago my brother bought a new laptop and asked my if I know a comfortable way to teach his new laptop all necessary information it needed to automatically connect to his WLAN networks like his old laptop did since he did not want to connect to all needed WLAN networks again and enter all the passwords again. 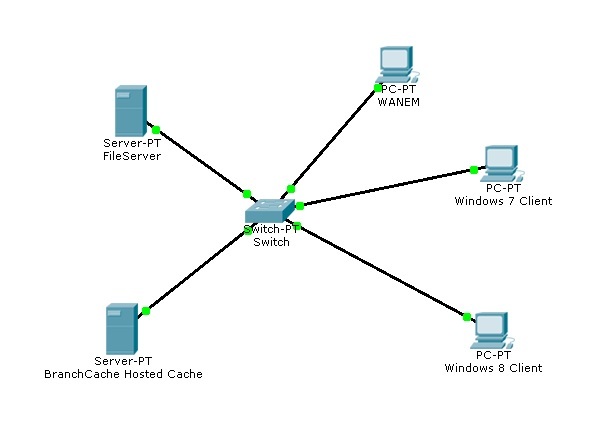 So, he basically asked me to configure his new laptop so that it would automatically connect to his WLAN networks at home, at his friends or at work like his old one did. Well, thanks to Google and some great posts mentioned in the Sources below I was able to do this and I will show you how you can do it. 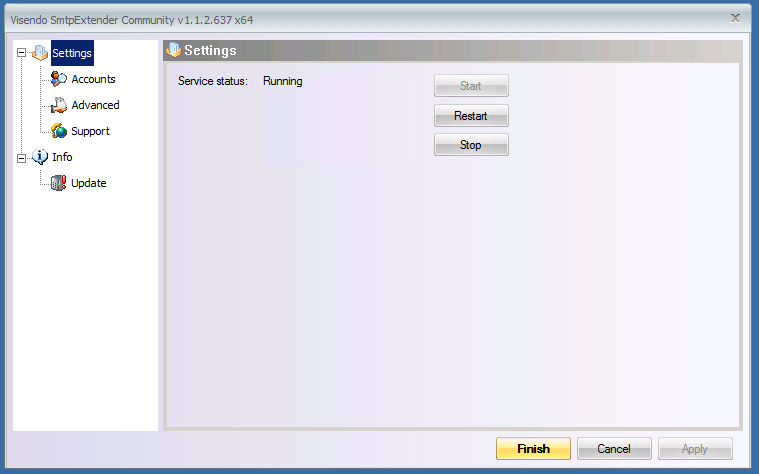 The first thing you need to do is to run cmd as Administrator. 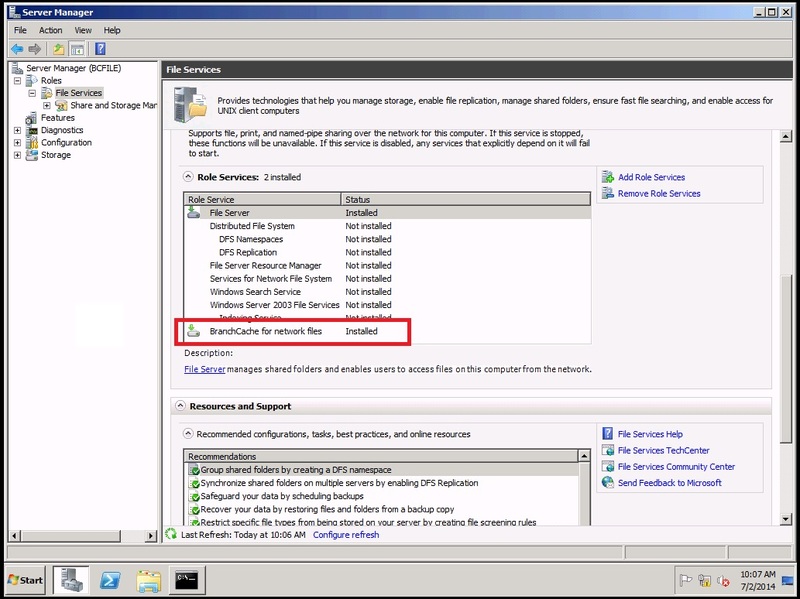 netsh wlan export profile "YourSSID" key=clear folder="C:\Users\You\Desktop"
Now transfer the above file to the computer (I´ll call it computer B) where you want to import the WLAN profile data. 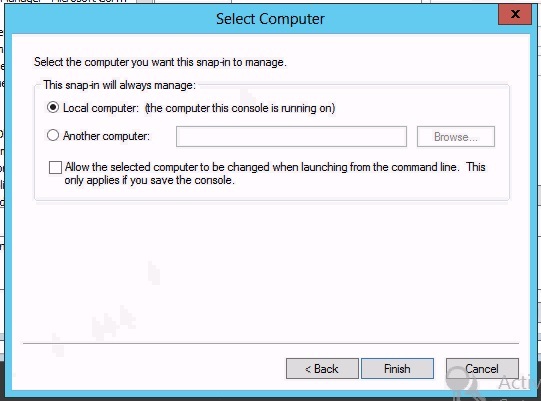 Now run cmd as Administrator on computer B. Well, that´s it. 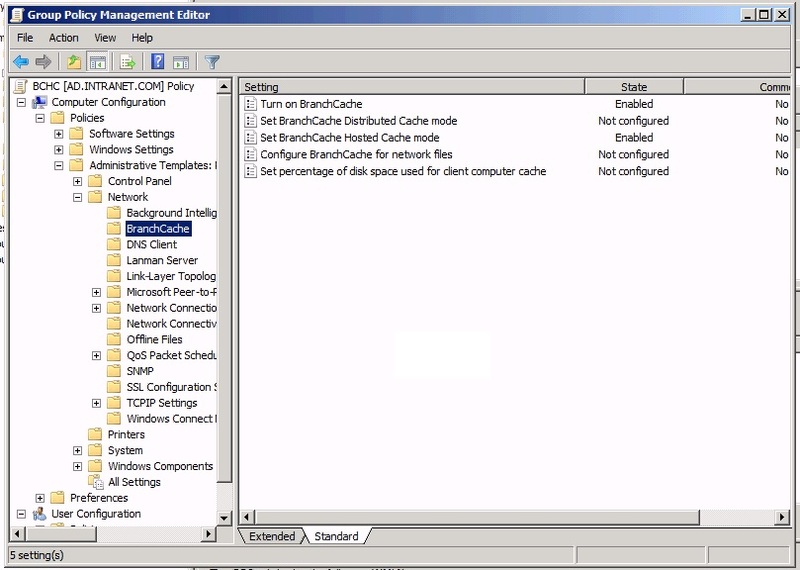 Computer B has now all the necessary information about the WLAN network to connect to it. 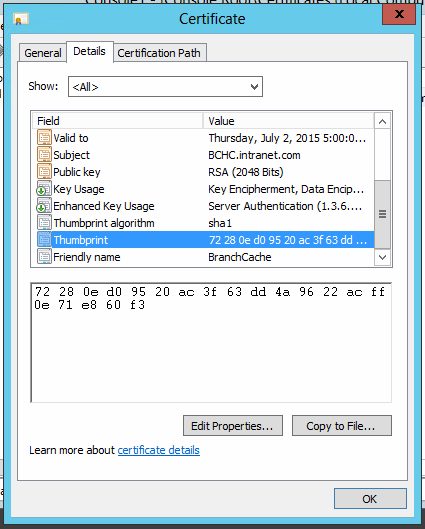 To download the new Windows 10 IOT you first need a Microsoft Account. Then click on this link to sign up on Microsoft Connect. 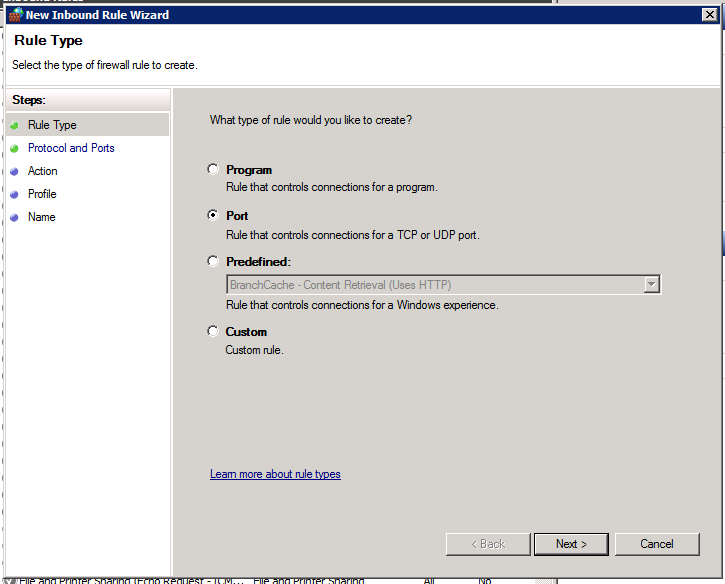 After you have successfully signed up for Microsoft Connect download the file “Windows_IoT_Core_RPI2_BUILD.zip“. 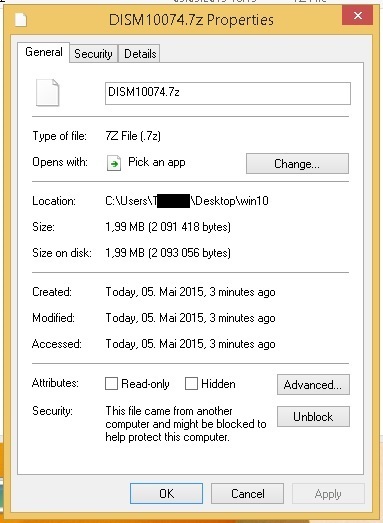 Important: Don´t forget to unblock the “DISM10074.7z” file before you unzip it. Next unzip the above zip files. In “Windows_IoT_Core_RPI2_BUILD” you will find the file “Flash.ffu“. 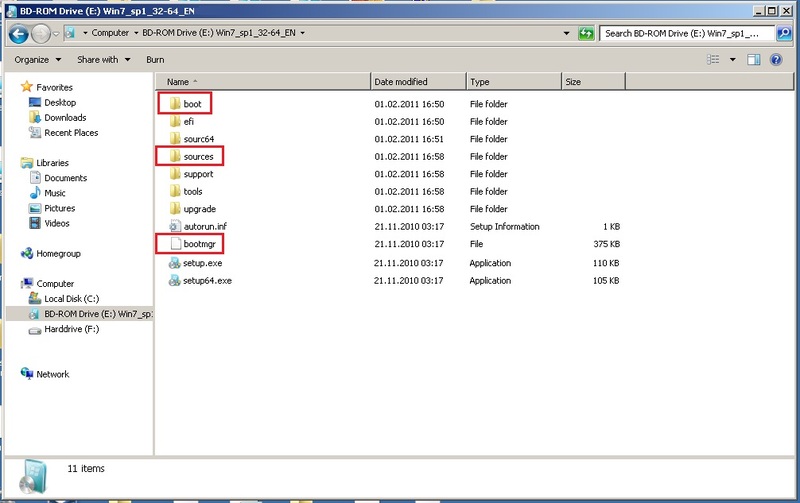 Place this file into the “DISM10074” directory you extracted from the second zip file. 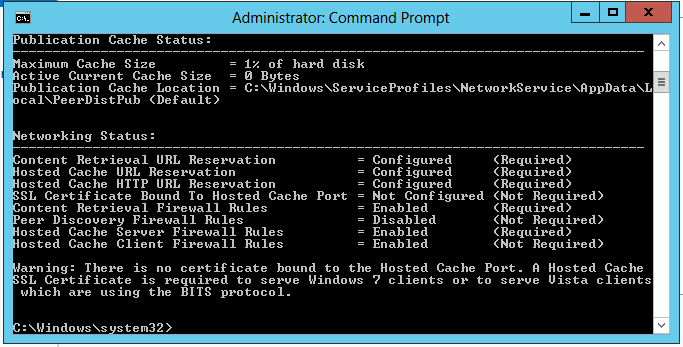 Next run PowerShell as Administrator and use the command “cd” to change into your “DISM10074” directory. Now insert your Micro SD Card (at least 8GB) and start diskpart with the below command. Write down the Disk number of your Micro SD Card and exit diskpart. Important: Replace the X of PhysicalDriveX with the number of your Disk before you run the below command. Wait for the command to complete. If it says “The operation completed successfully” everything went as expected. 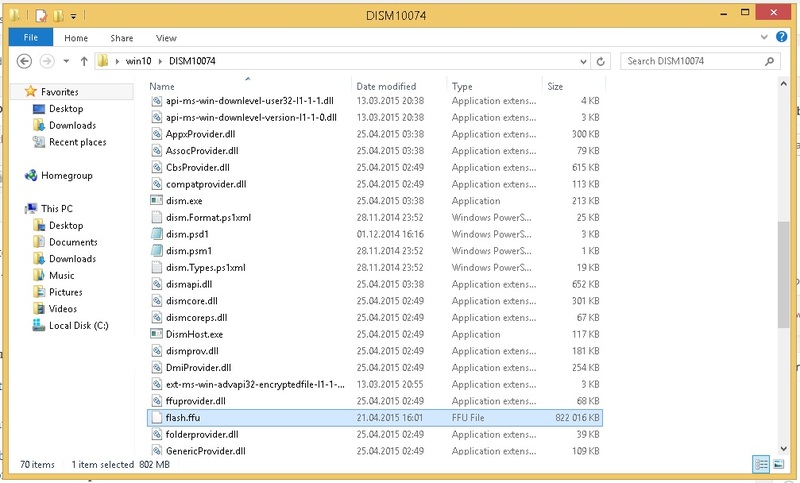 Now you can close the PowerShell window and safely remove your Micro SD card and you are ready to use Windows 10 IOT. Insert your Micro SD card into your Raspberry Pi 2 and plug in all necessary cables. Please keep in mind that the first boot will take some time so please be patient and don´t turn off your Raspberry Pi 2. Well, that´s it. You can now start to explore Windows 10 IOT. Have fun! 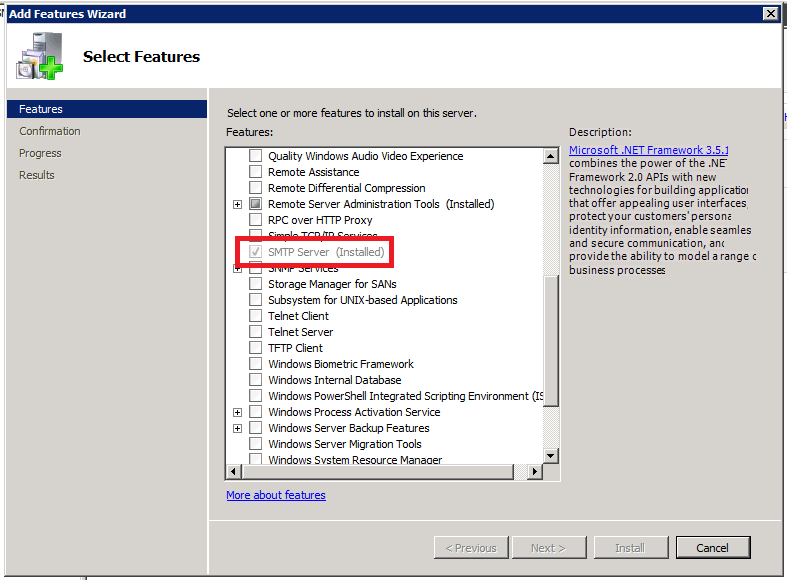 Hello everyone, today I want to show you something neat you can use to simplify Administration of your Windows Systems. This neat little trick is called “God Mode”. 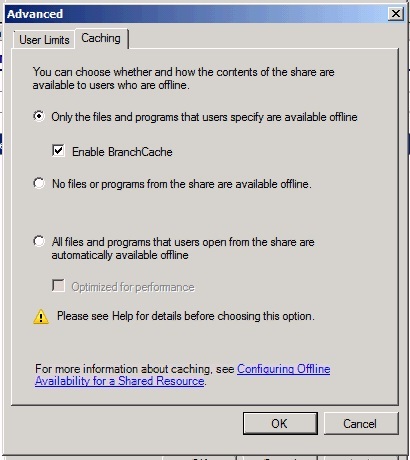 Well, it does not provide you with the powers of a god but it delivers you a useful toolbox with almost all settings you need to efficiently administrate your Windows System. 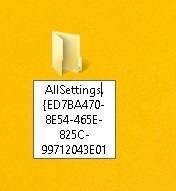 This is especially useful on Windows 8 and Windows 8.1 Systems if you are like me and struggle with the new interface. 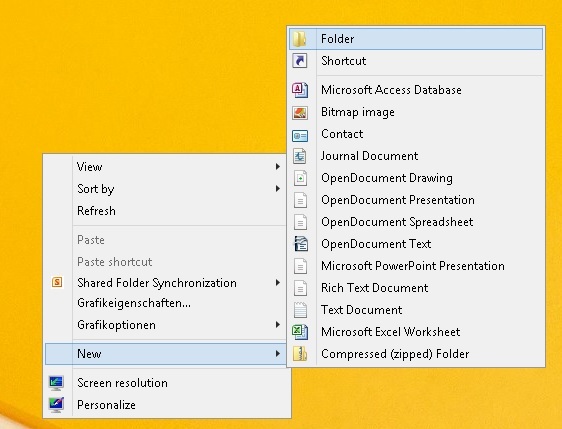 First you need to create a new folder. Well, that´s it. You now have a neat little toolbox with a lot of useful settings set up in less than 1 minute. Pretty cool, right? Hi everyone. 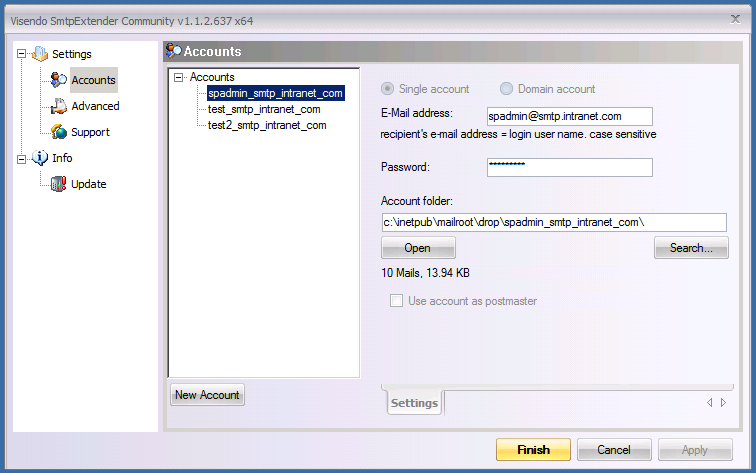 Today I want to show you how you can set up a simple Mail Server for your development environments. 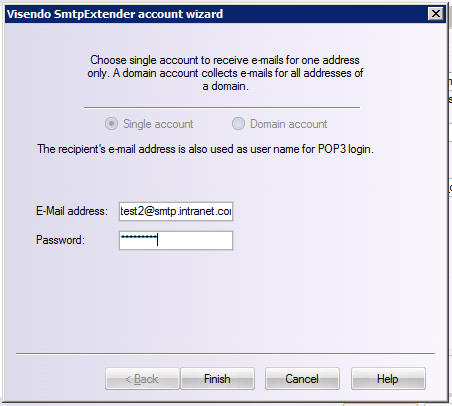 Download Visendo SMTP Extender from here. 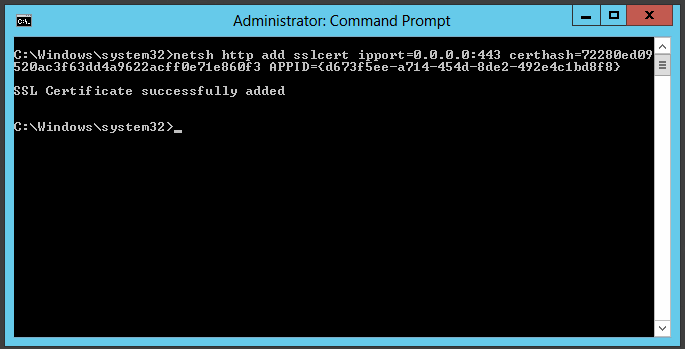 Install the Windows Feature SMTP Server. 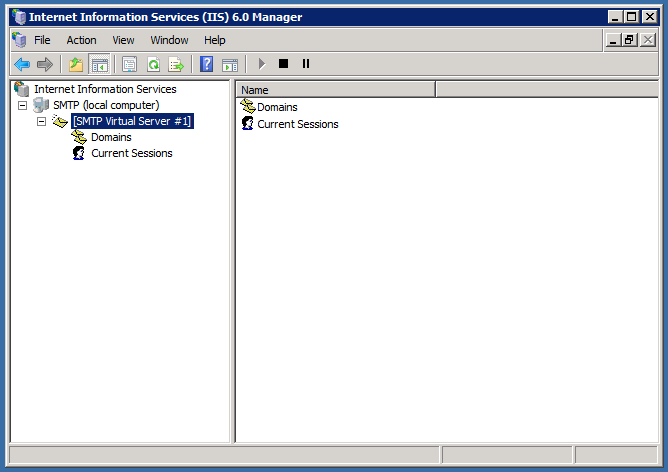 Now open IIS 6 Manager. 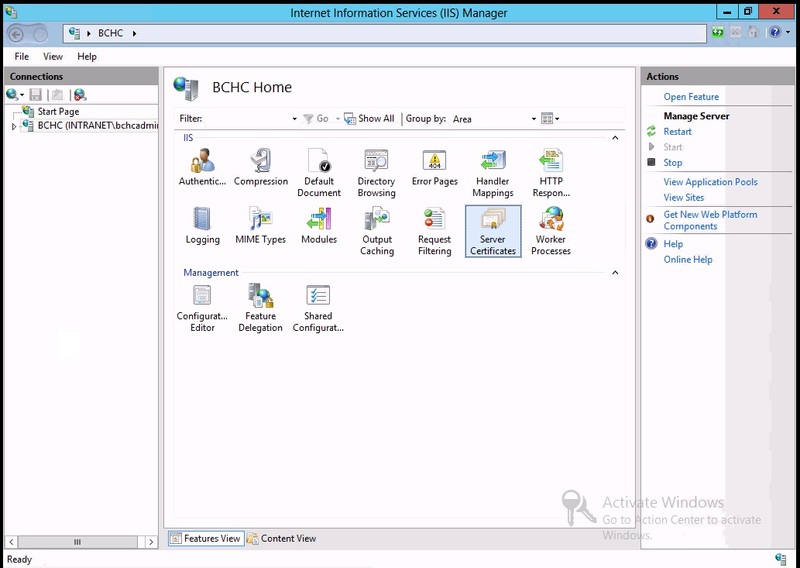 Now select [SMTP Virtual Server #1] and click on Properties. Now make sure to enable the setting All except the list below and make sure to check the checkbox at the end of the window and click OK. 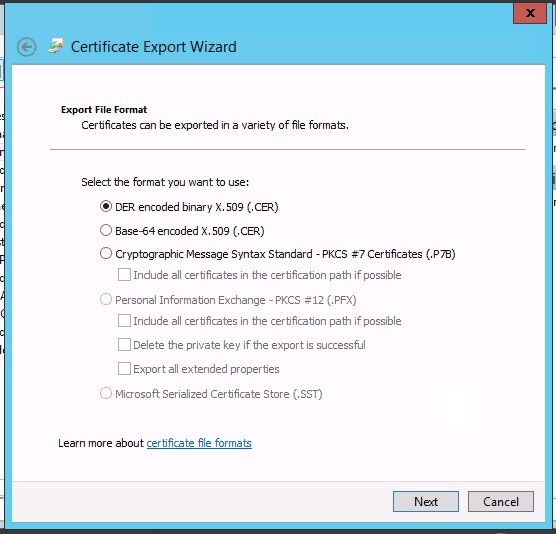 The name of your server (the name of mine is smtp.intranet.com) will be entered in the Fully-qualified domain name text box. 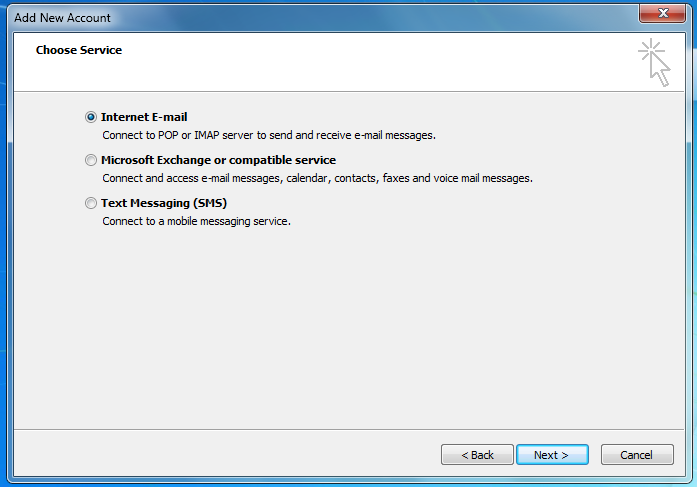 If not make sure to enter it and click on OK.
Now open up Services and make sure the Startup Type of the service Simple Mail Transfer Protocol is set to Automatic. The Installation is pretty simple. 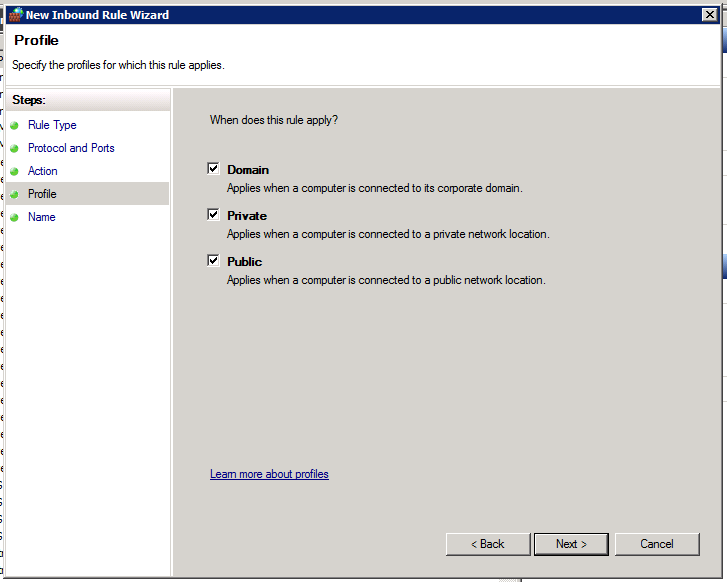 Simply download the Installer mentioned above and run the Setup Wizard. 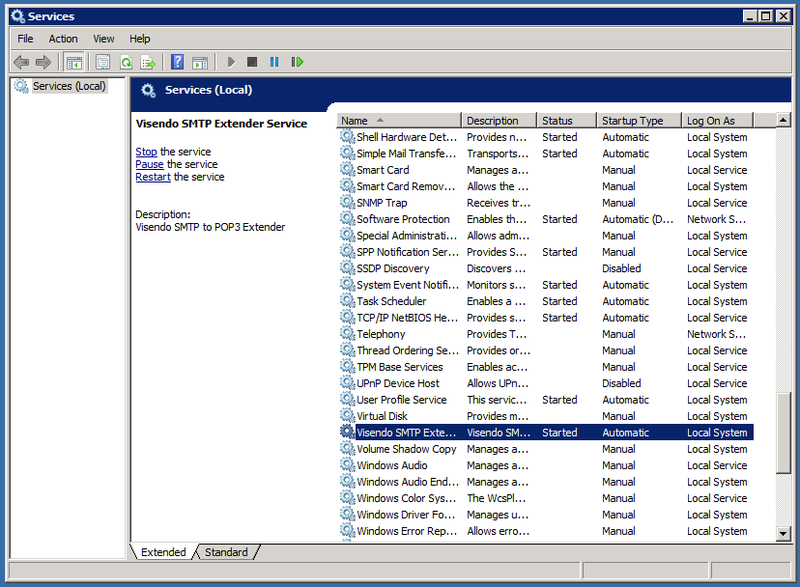 After the installation has finished open up the Visendo Configuration Wizard. Now create a new account. After you have created your accounts go to Settings and click on Start. 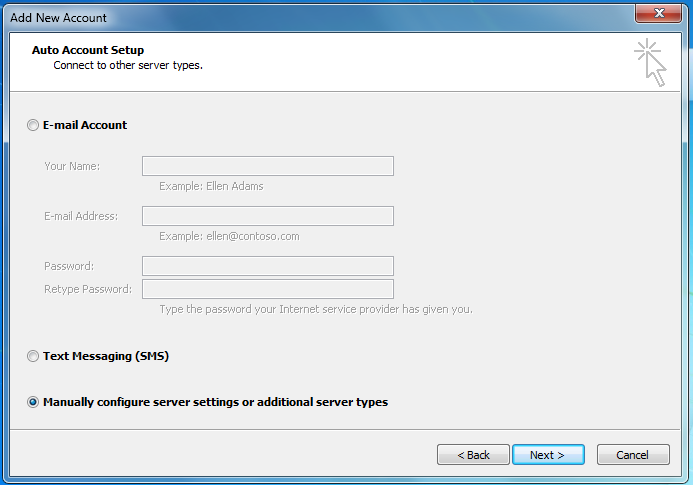 Now go to Services and make sure that the Startup type of the service Visendo SMTP Extender is set to Automatic. 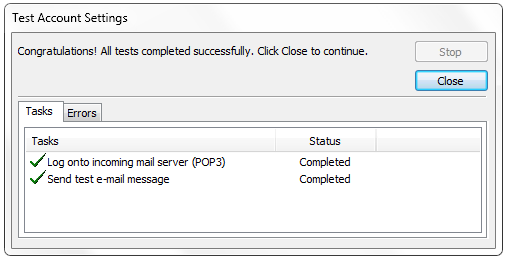 To make sure that your Mail Server will work as expected you need to allow POP3. 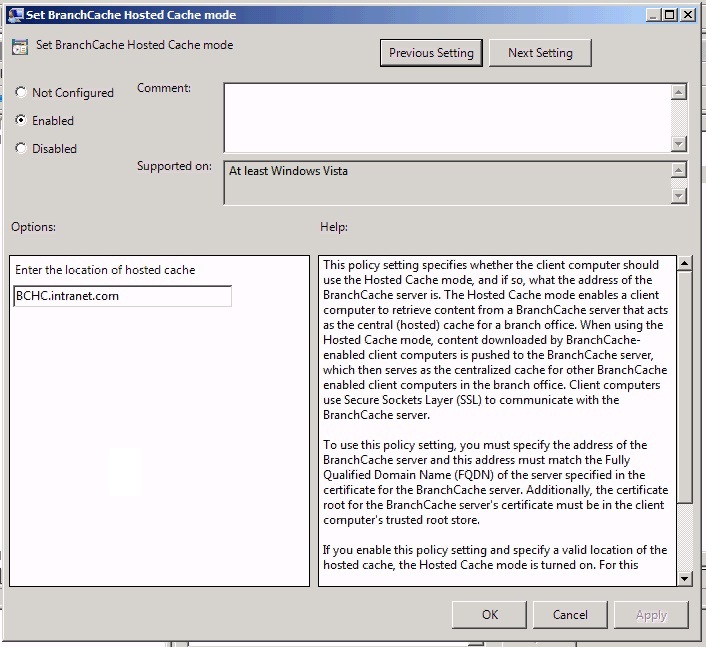 Create a new Inbound Rule in Advanced Settings of Windows Firewall. 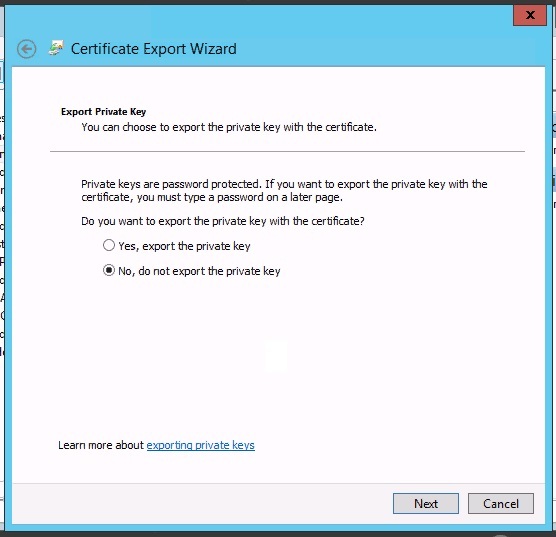 Choose Port and click on Next. 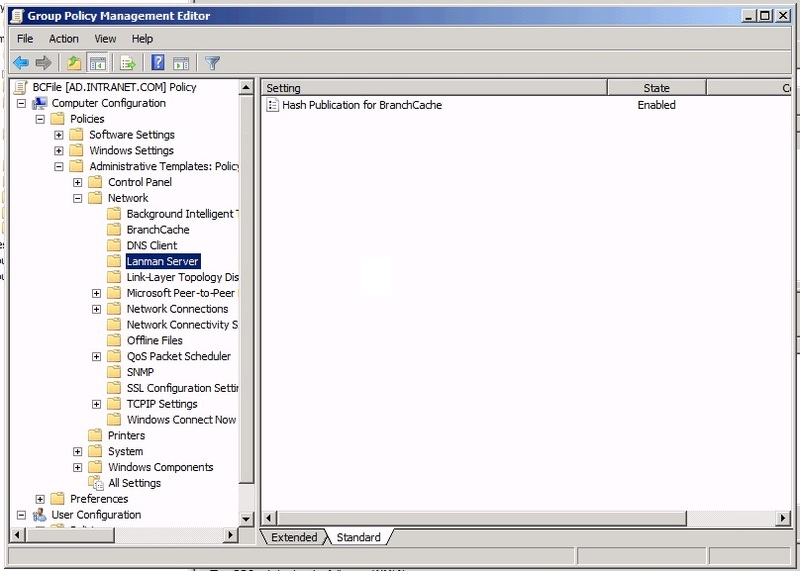 Now choose TCP and enter 110 in the Specific local ports text box. Now choose Allow the connections. 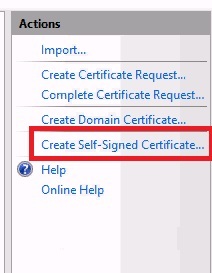 In the last step I checked Domain, Private and Public. 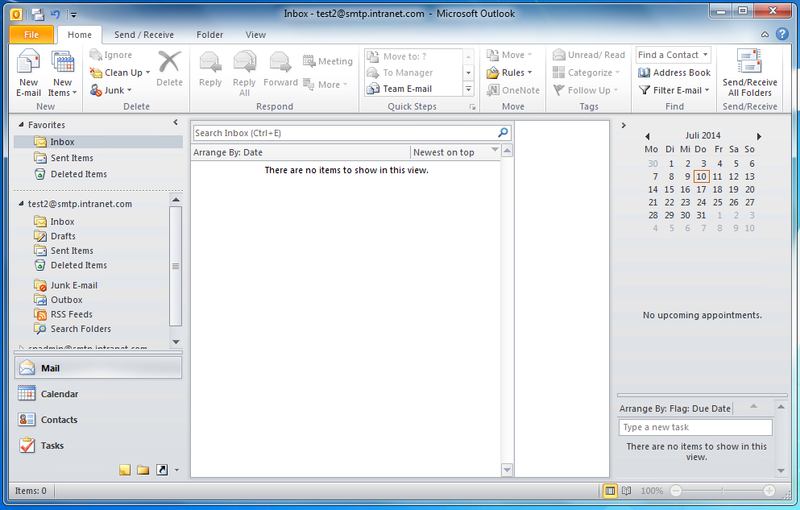 On your client machine start Microsoft Outlook. 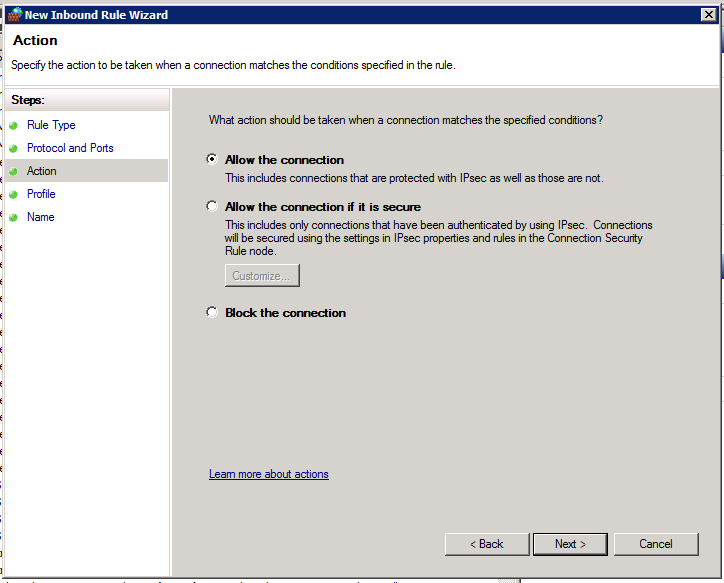 Now choose Yes and click on Next. 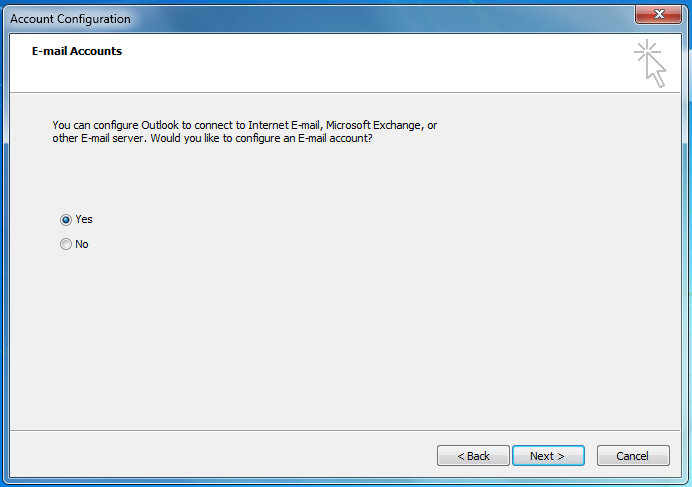 Now choose Internet E-mail and click on Next. 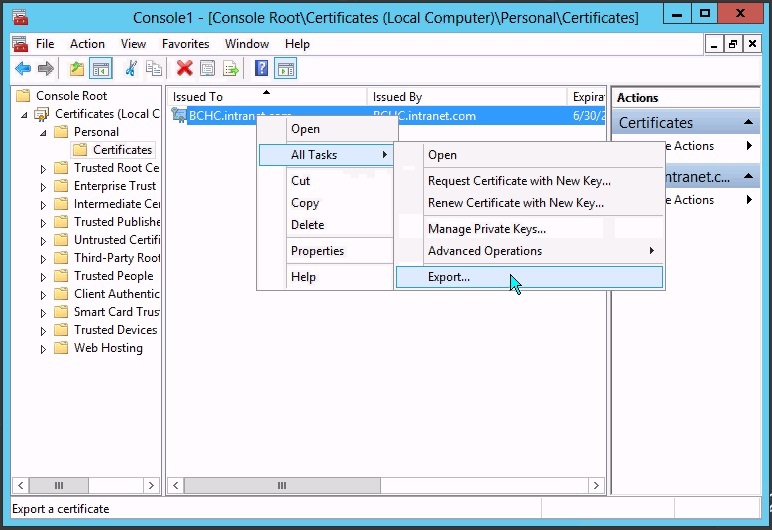 Now choose Manually configure server settings or additional server types and click on Next. Now enter your account information like shown in the below screenshot and click on Next. 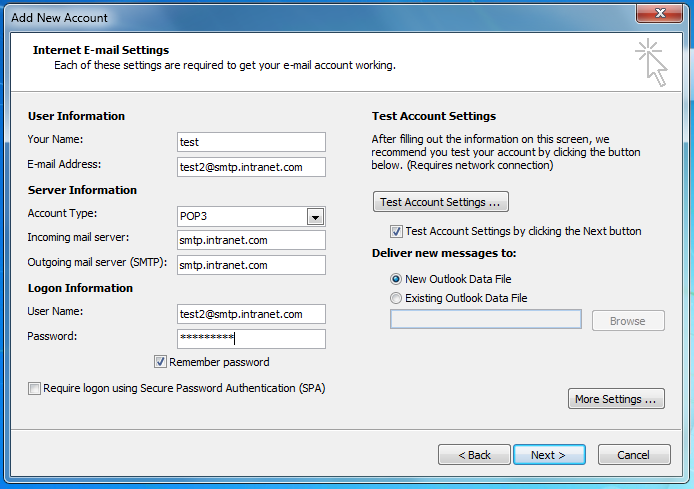 Now Microsoft Outlook will check if it is able to connect to your Mail Server and send an test E-mail. 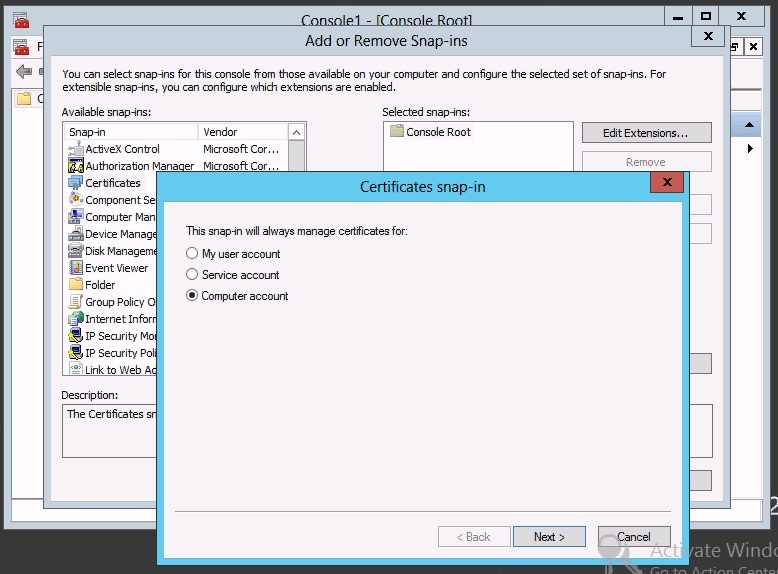 If all tests are successful your configuration is finished and you are ready to go. That´s it. 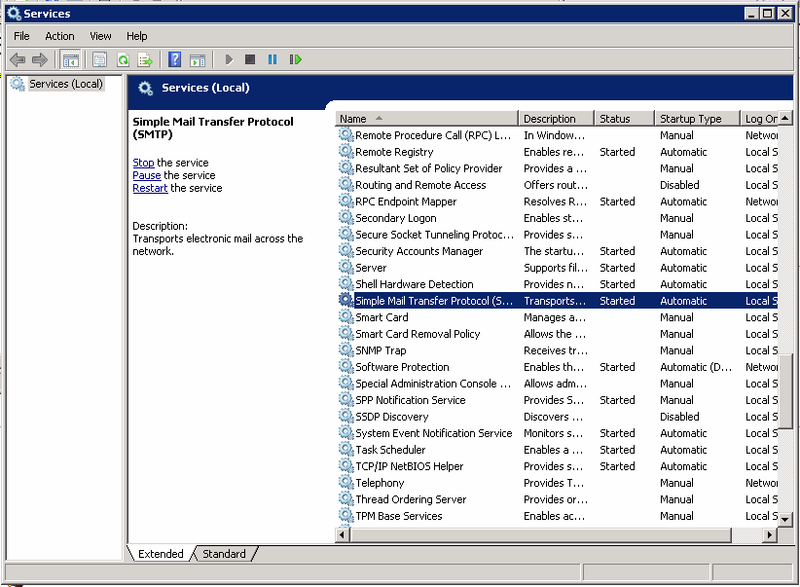 Your Mail server and your client are now ready to use. Hello everyone. 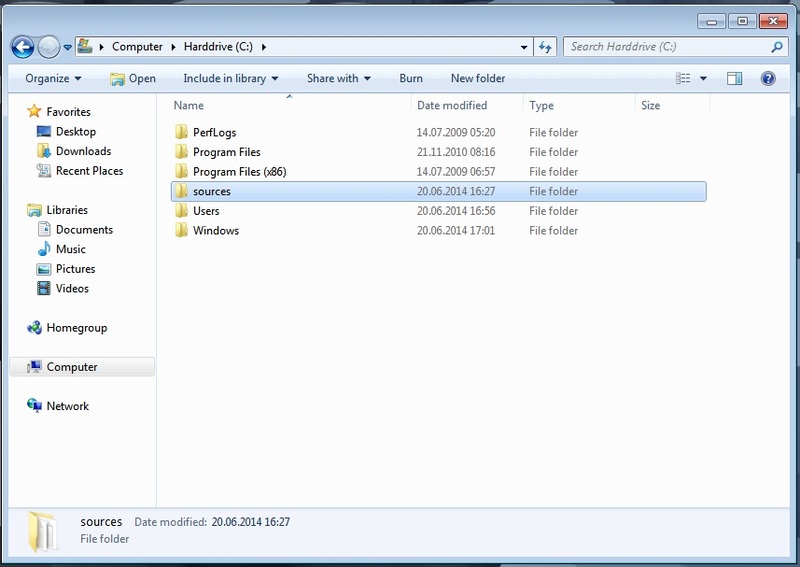 Today I found a method to install Windows directly from a hard drive. Replace x and X with the values of your hard drive. That´s it. Your preparations are done. Now insert the hard drive into your machine and make sure to boot from hard drive. 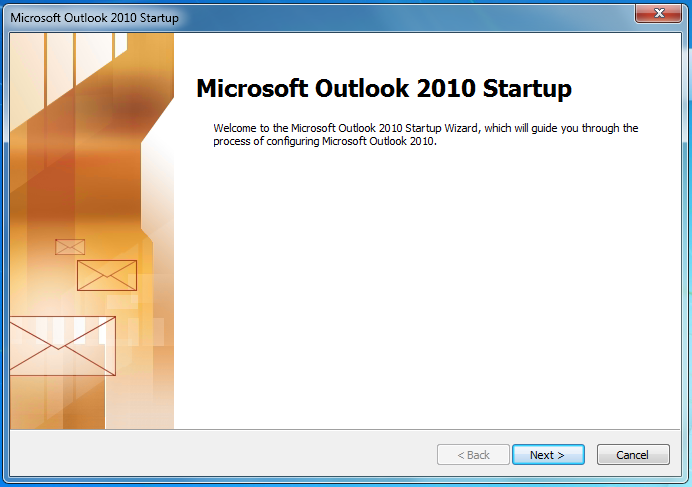 Install Windows as you would do normally but do not format your hard drive, otherwise all setup files would get lost and the setup will not finish successfully. This will open a window like the one in the screenshot above. 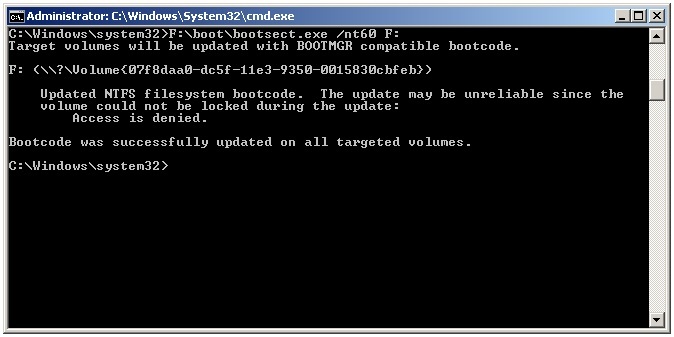 Now choose the Boot tab and select Windows Setup (\windows) and delete it. 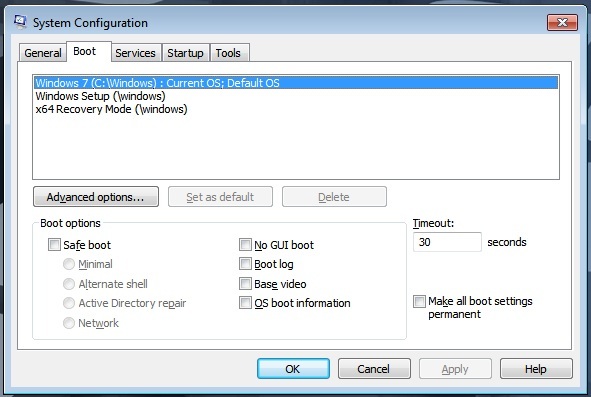 This will remove the Windows Setup option from the Boot Manager window when you boot your machine. The last step is to remove the setup files. To do so, delete the sources folder from the C partition of the machine. That´s it. 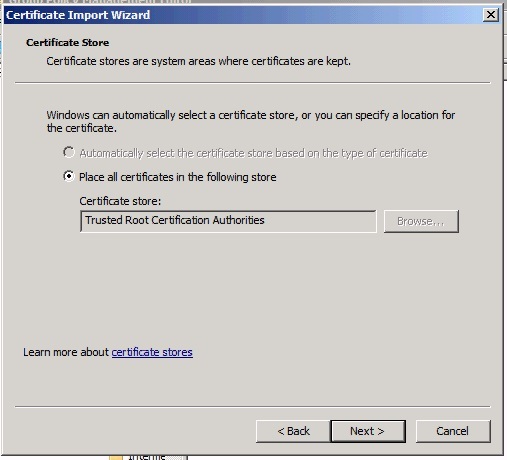 You successfully installed Windows without using any CDs/DVDs or USB Sticks or additional software. For more information have a look at the sources.